St. Patrick’s Day is coming! Whether you are Irish, or not, it’s time to start planning and preparing your menu for the food items that you hold near and dear to your heart. Corned beef, cabbage, and Reubens, oh my! The options for good food creation are in abundance for this lucky day. No matter what you are craving, there are certain to be recipes to impress. 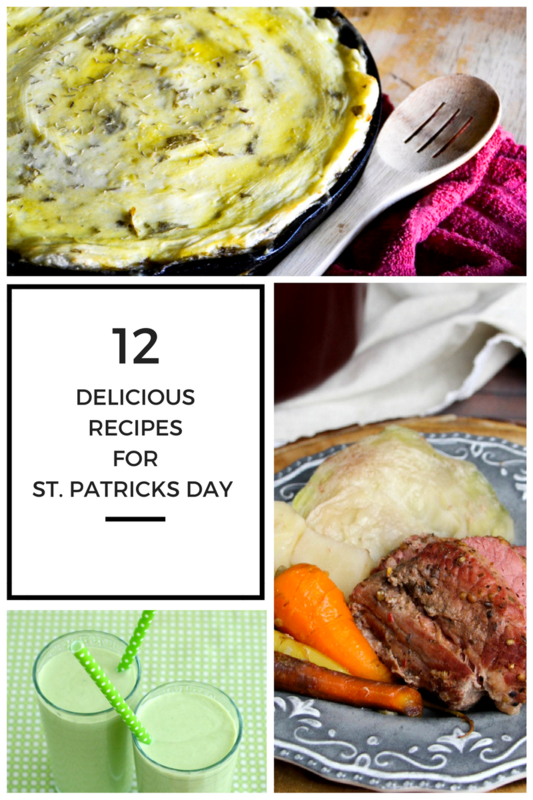 If you are looking for a few super simple St. Patty’s Day Recipes to create, here are a few great options to get you started! Looking for a quick and easy way to create a classic St. Patty’s day meal? Try this recipe in your Instant Pot. Cut that cooking time down by hours! Who doesn’t love Shepard’s pie? Meat and potatoes, all in one! Hearty and loaded full of goodness, this recipe is certain to make your tummy happy. Such a fun twist on the traditional use of corned beef. Tacos have never looked better than with this yummy recipe! These are little pockets of goodness! No silverware needed, just grab and go! Or…sit and enjoy. There isn’t a right or wrong way to eat ’em! Great recipe to make for breakfast, lunch or dinner. Packed full of goodness, without missing any of the taste! These wraps are sure to be a hit! Super simple, easy-on-the-budget hearty stew perfect for a snuggled up St. Patty’s day feast. Who says a Reuben has to be a sandwich? Give it a twist with this fun casserole dish recipe. Full of flavor to get those taste buds wanting more! Because green screams St. Patty’s day. And who doesn’t love a colorful, fun food option? Is there gold at the end of the rainbow? If not, have these waiting for you instead to cheer you up! Rainbows, Shamrocks and Gold St. Patty’s Day Cookies. Not only are they super fun to eat, but they are simple and easy to make as well. Make it a family fun event with this awesome recipe! Have fun with your family and friends in creating a feast with some of these simple recipes! Make this St. Patrick’s Day a day to remember by introducing a new recipe for your crew to enjoy. They’ll feel “lucky” for sure once they get to sample all your fun recipe creations!